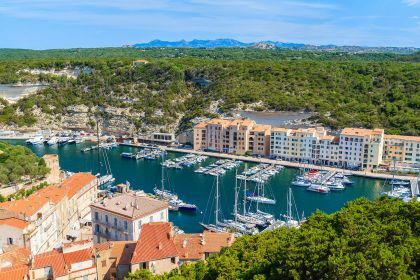 If you need any more convincing to explore Bonifacio, then Grotte di Bonifacio, King Aragon’s Steps and Bonifacio Citadel will be the clinchers. The vertiginously high medieval guard towers and the picturesque red-roofed buildings nestling on rocks above the water complete the postcard-perfect scene. And it gets better. Ever dreamed of exploring an uninhabited island? Just up the Corsican coast, half an hour’s trip from Bonifacio, are the completely deserted Lavezzi Islands. Refreshingly, there’s not as much as a store, refreshment stand or a sun bed on offer, so if you do plan to come ashore, make sure you have everything you need: your own water, towels and umbrellas. The islands are known for the remarkable beauty of their cliffs and rocks, but there are also incredible diving opportunities, so you can enjoy its delights from your yacht without needing to step ashore. 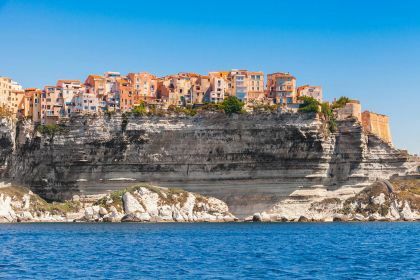 Bonifacio offers ease, convenience and natural beauty, starting with a lovely spot to anchor your yacht against the stunning backdrop of the rocky coastline. Not only are the port and marine facilities of the highest standards but the charming city rolls out the royal treatment with its impeccable service and first-class tourist offering. 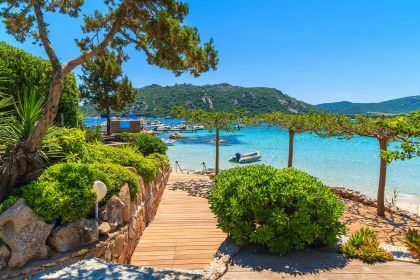 Contact your friendly Abberley charter broker for assistance in planning an ideal yachting vacation in Bonifacio, Sardinia and Corsica.